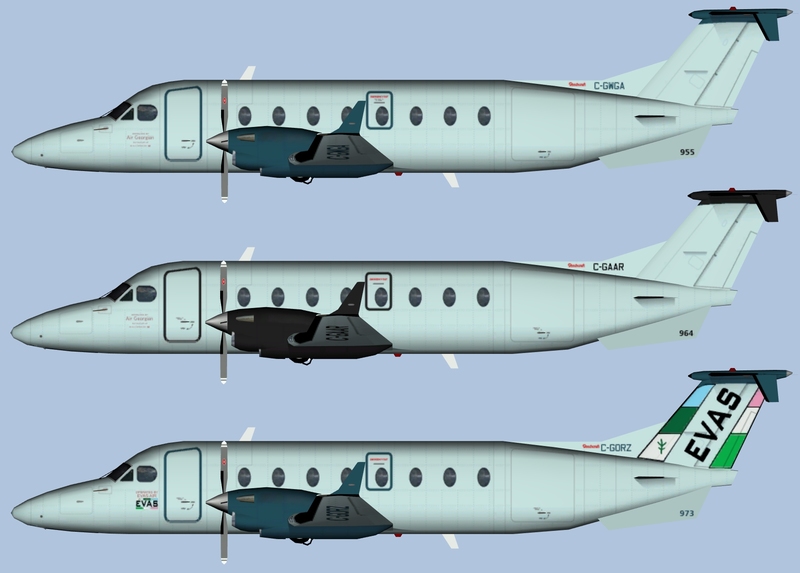 Air Canada Express B1900D Albino Variations P3Dv4 for the HTAI B1900D base model. These are P3Dv4/FSX textures only. Henry Tomkiewicz’s Beechcraft 1900D base model is required. It can be found at http://htai-models.com/downloads.html. To use the model in P3Dv4 you will need to download the converted model from https://www.alpha-india.net/aigfiles/files/Converted P3D v4 models and replace the FS9 base model. I’ve included lightmaps for FS9 and tga files to convert to whatever format you wish.